Engineers from Ford Motor Company were sent to Auburn, Massachusetts, Thursday, to inspect police cruisers for carbon monoxide. 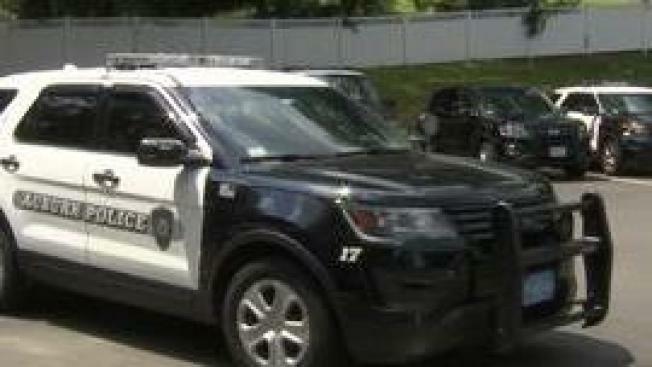 Police cruisers in Auburn, Massachusetts are being expected after several officers were hospitalized, and one crash, due to Carbon Monoxide poisoning. Engineers from Ford Motor Company were sent to Auburn, Massachusetts on Thursday to inspect police cruisers for carbon monoxide. Engineers drove the cruisers around town at fast speeds, sat idling, and pored over the Explorer SUVs trying to figure out why carbon monoxide was leaking from them. Wednesday, an Auburn officer crashed after passing out behind the wheel. Police blamed carbon monoxide and tested 20 vehicles. 10 cruisers and 3 standard SUVs had elevated readings. Nearly a dozen cruisers were pulled off the road by Ford specialists on Thursday, and 6 officers sent to the hospital with elevated levels. "We want to be proactive about it because we want to make sure our officers are safe out on the street," said Captain John Dougan of the Quincy Police Department. After police crashes in a number of states and more than 2,700 complaints about both police and consumer vehicles, The National Highway Safety Administration has expanded its investigation to Ford Explorers from 2011 to 2017. Auburn is ordering dozens of meters and Ford has promised to stay until the vehicles are back on line. Ford has also announced that they will be paying for fixes across the country. They say regular consumers shouldn't have concerns; however, Auburn did have problems with 3 of their regular SUVs. If you're concerned, Ford advises you take your Explorer to a dealer.